Switch off the fan! Only stagnant air around the printing head. Use 3D LAC instead off glue, hairspray or ABS juice. So, I should have bought the Snapmaker enclosure. I went to a shop and bought a€5 storage box and placed the Snapmaker in it. Switching off the fan is not possible. (I tried code M107 “Fan Off” in vain.) So I used the idea from ock10 for a fan deflector: a simple piece of paper taped with scotch. To heat the ambient air I used a 1200W hair dryer: I put it into the box, closed the lid/doors and ran it for 10 minutes. After that I took it out again and started the print job with 250C for the first layer and 90C for the bed. 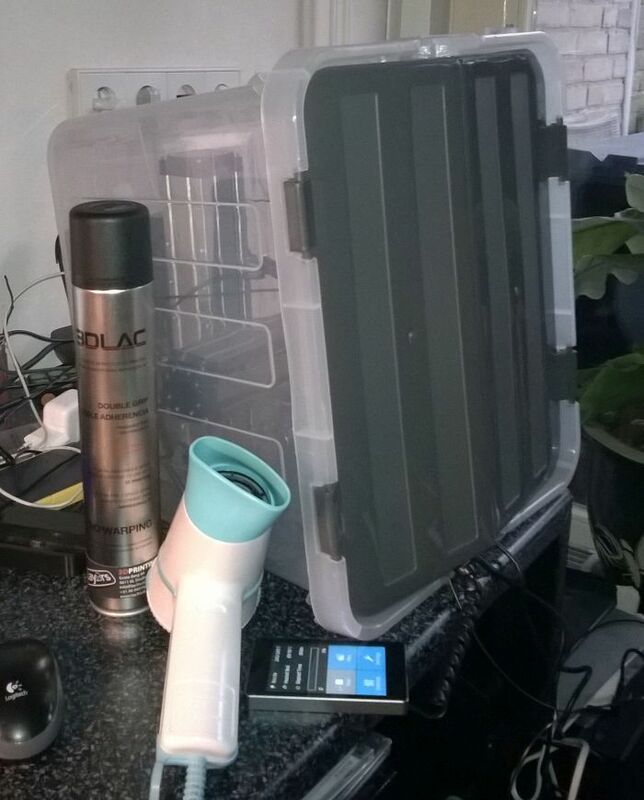 The heater was already preheated by the hair dryer to about 50C and the bed about 70C, assuming the air temperature inside the box is around 60C. After the print is finished the product is stick to the bed very well but after cooling down it comes of quite easily, thanks to the 3D LAC. 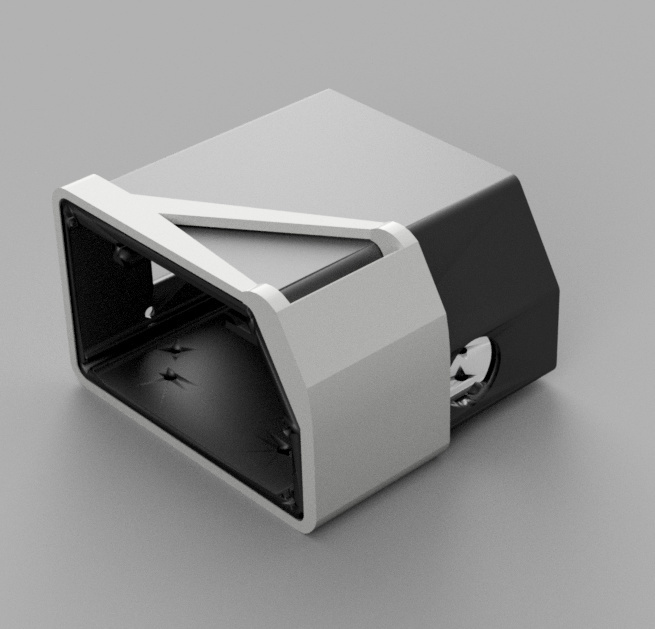 The Snapmaker has not been optimised for printing ABS, but it is very well possible with some precautions: inside a preheated enclosure, without air turbulence around the nozzle, increased heater and bed temperatures. Or, you could try PETG. It’s much more forgiving than ABS and more durable than PLA. 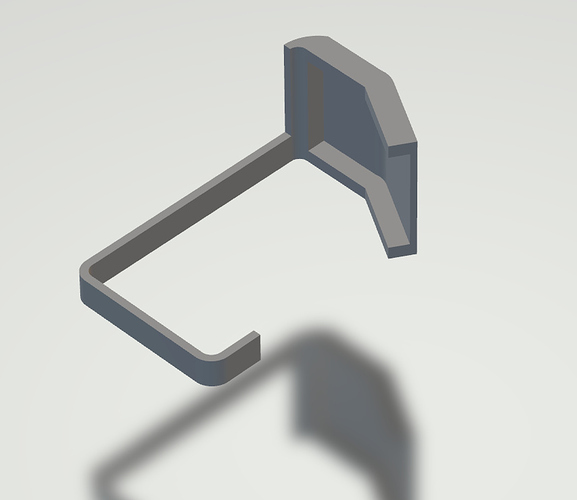 I’m currently designing a 3D printable fan deflector for the Snapmaker. My first design worked, however, it was too large at the bottom and would touch the print bed before the nozzle. 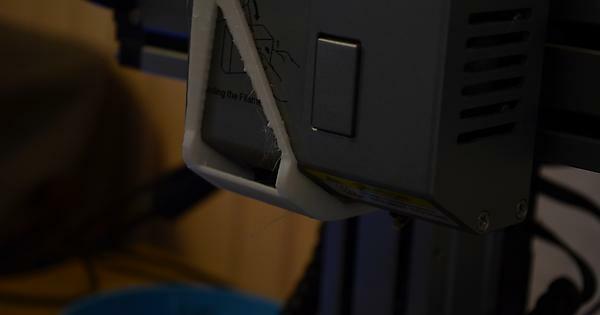 Version 2 is lower profile and should not touch the nozzle, however, I am still printing it (as I just finished designing the iteration) and haven’t tested if it actually deflects the air decently enough. 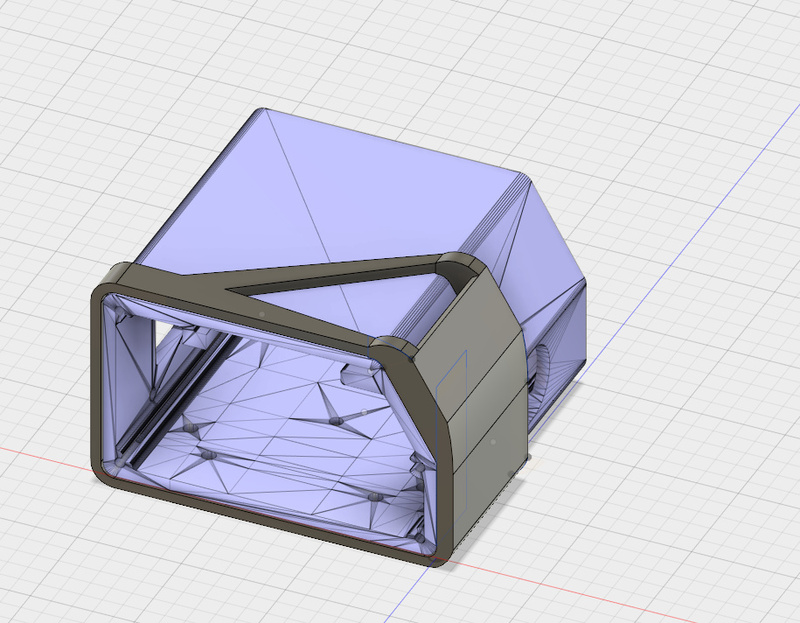 And to give credit where credit is due, I am using the Snapmaker DIY Laser Module case model to design the deflector around. I made another version of the card deflector with a window towards the nozzle to try improving PETG printing, but it didn’t really help. All my PETG test prints have shown a need for better part cooling. 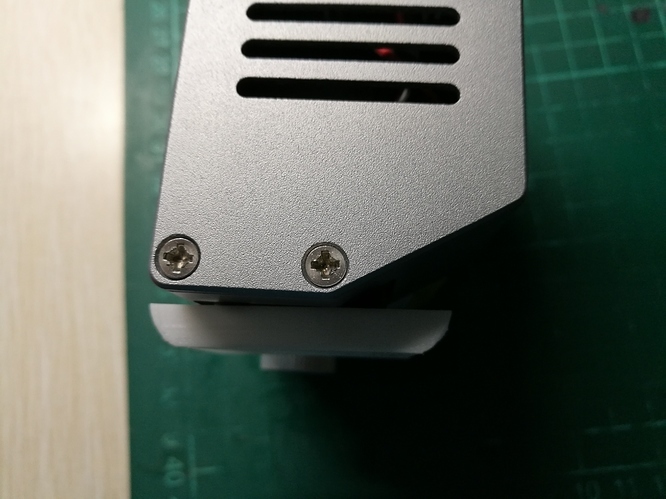 A deflector can only protrude about 6mm from the bottom of the module or else it will hit the print, and I’m not sure this style of fan can push enough air around a corner into a 6mm gap to help. 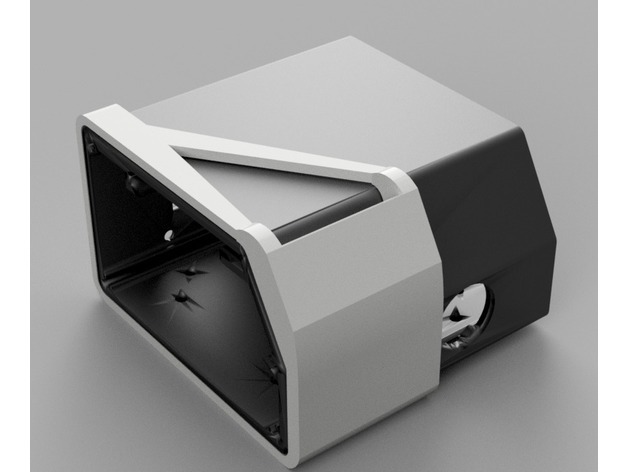 An externally powered/controlled blower style fan may be needed for better part cooling. Did you try making like a nozzle or something for the air to flow out of? This is something you could be able to do with a print, but maybe not with card. It should be able to create a positive pressure inside of the deflector. So the deflector design works, but ABS still won’t print. Quite a strong stream of air is coming out of the nozzle of the deflector, but the prints just won’t stick. I’m feeling a bit ripped off as they said you can print ABS with the Snapmaker, but the build plate cannot even reach 100 C.
If there any chance we can purchase a build plate that can reach higher temperatures? The community can make the other adaptions that are required, however, the build plate temps really need to be higher. I’ve had 1 successful ABS print with this setup, however, large prints are still failing. It has most certainly helped though! Quite a strong stream of air is coming out of the nozzle of the deflector, but the prints just won’t stick. The big fan on the side is trying to push air over the heater and I’m sure some of that air is exhausting out around the nozzle because there isn’t much room for air to exhaust out the opposite end. It may be that some of that opening needs to be restricted. Had to try 3 different hairsprays to get it to stick, but it works!!! Has anyone tried co-polymers yet? They are strong and more forgiving to print while also being styrene, odor and BPA free. 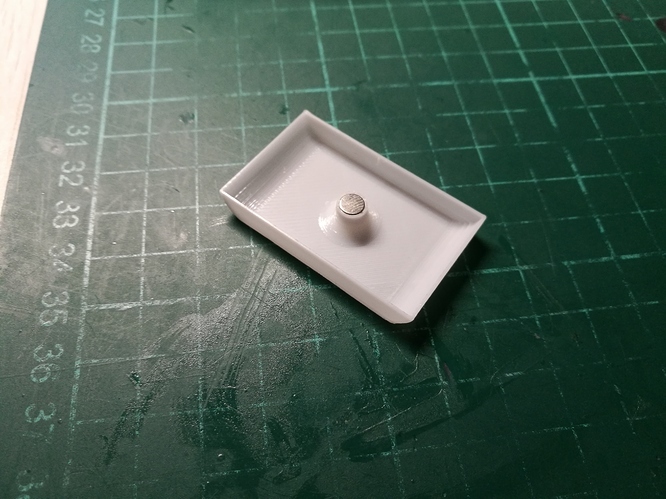 This design helps the Snapmaker print ABS :) The print bed needs to be set to 80 and some hairspray or other adhesive needs to be used :) Hope it helps! ABS is a co-polymer! It doesn’t smell. BPA is used in the production of PC. But PC you can’t print on Snapmaker because it requires higher temperatures. So BPA free. A few companies are working on a low temp PC. So, there is a difference between ABS and ABS and there is difference in perception of smell; I called the shop where I bought the ABS: “yes, ABS smells, and it is dangerous”. dangerous? ?, I 'm not sure he is an expert about plastics so I asked for the MSDS (material safety data sheet) of his ABS. He will send it. I’m very new to this. my Snapmaker arrived a few days ago. I printed a lot this PLA with different filaments nearly without problems. But my ABS prints are very very unstable. They break so easy. This cant be normal. 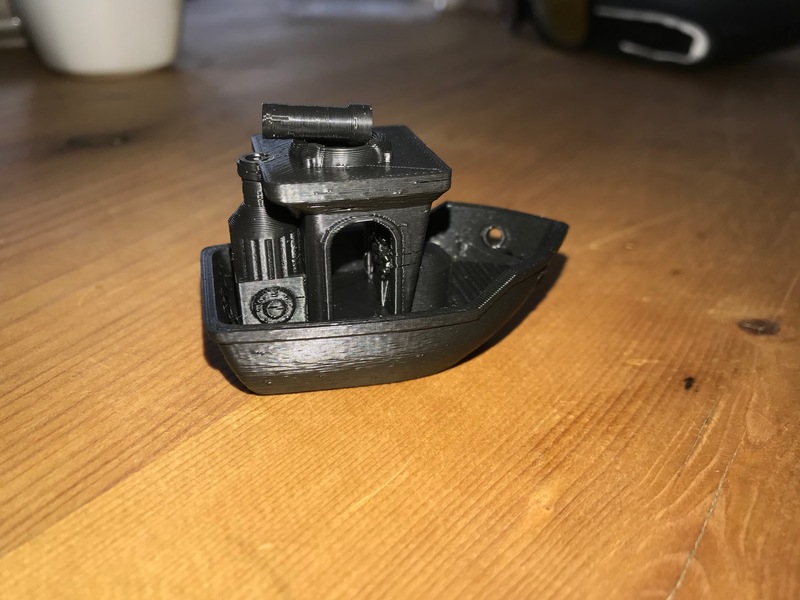 I think the prints looks “ok”. I have no problems become loose of the bed. The prints stick very good. I only clean the bed with Isopropanol. I got “best results” with ABS with 245/80 °C. 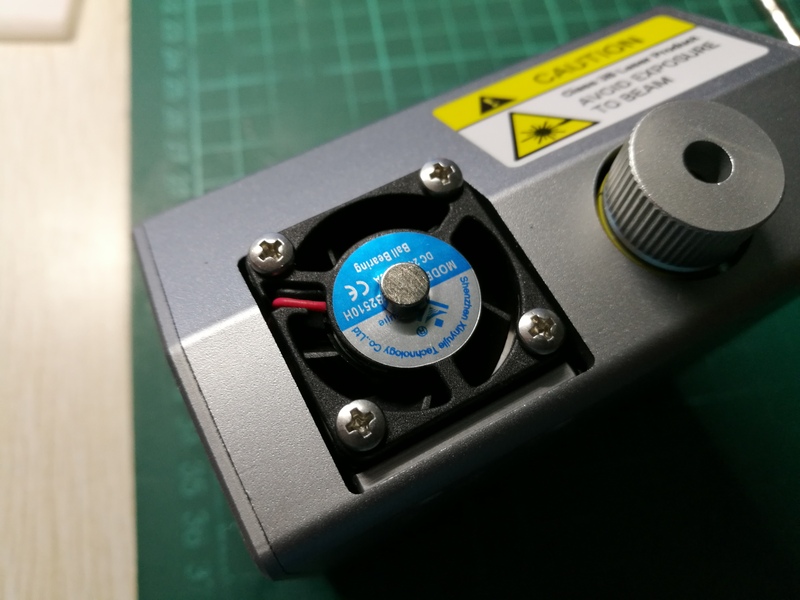 I taped the FAN on the Printing Modul. What can this cause? Does a Box help? 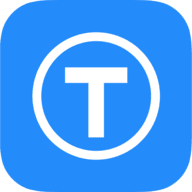 If the temperature is too low the new layer does not meld properly to the previous layer. Then it breaks easily. To meld two layers together the minimum temperature must have the so-called glas-temperature. For ABS this is 110C. So, increase the temperature of the nozzle and increase the temperature of the environment. An enclosure with hot, stagnant air is advised. I can try 250°C nozzle temp. But I think that’s not enough. 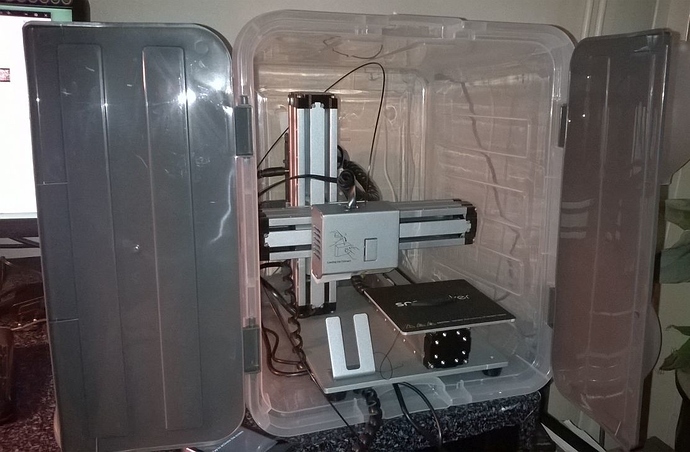 So the only solution for good results is an enclosure?!? I will try to build one. 245ºC are Ok for the print, I’m amazed by the fact it doesn’t go off the bed like everyone else, maybe the very clean surface does the trick, about the resistance on the material I found that letting it cool off for a good time makes it stronger. Try a print and let it for a good couple hours, then try again and tell me how it went.